Trump also again complained that McCain voted against repealing Obamacare. 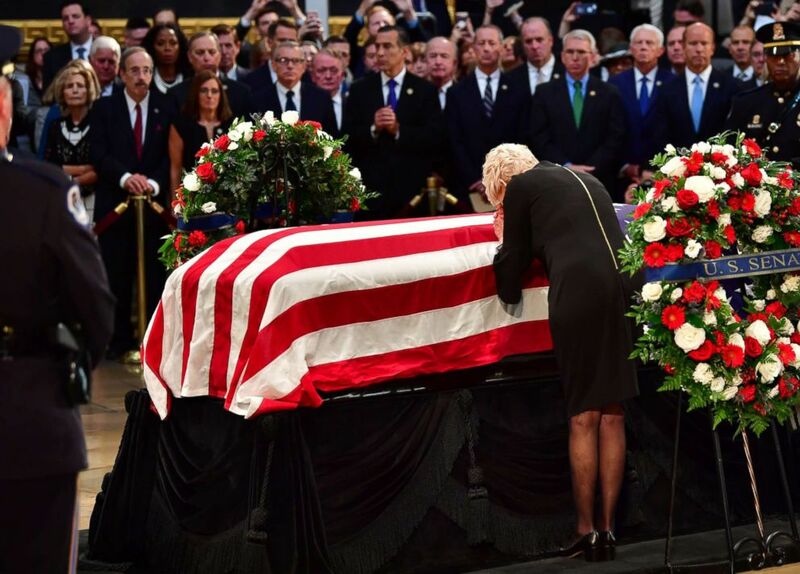 (Kevin Dietsch/AFP/Getty Images, FILE) Rep. Martha McSally stands in the crowd as Cindy McCain, wife of late Sen. John McCain, pays respects at her husband's casket inside the U.S. Capitol Rotunda in Washington, Aug. 31, 2018. 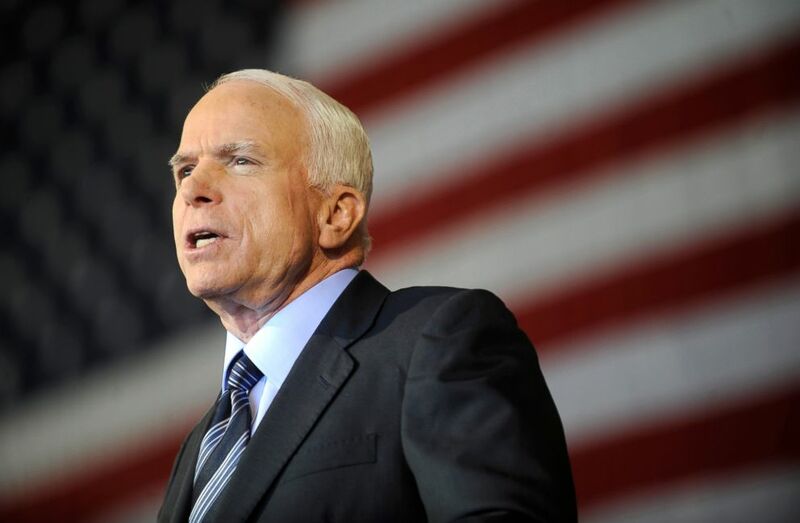 (RJ Sangosti/Denver Post/Getty Images, FILE) Sen. John McCain attends the Road to Victory rally at the Colorado Jet Center in Colorado Springs, Colo., Sept. 6, 2008.